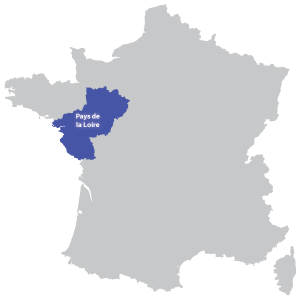 Nantes is in the Pays-de-la-Loire region. 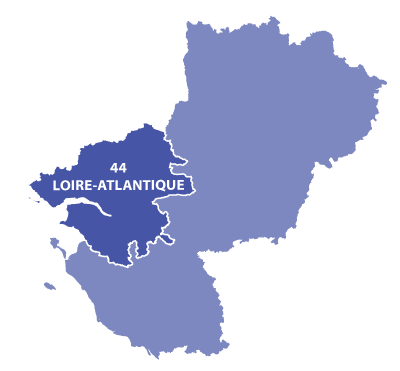 As the estuary of the river Loire is wide, there is an important maritime port. 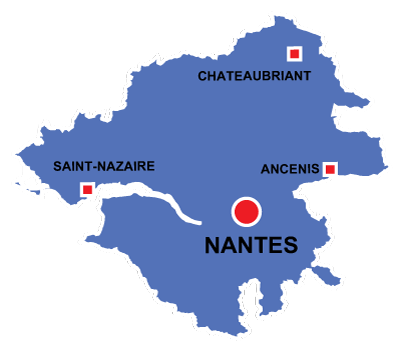 Nantes also boasts an airport, high-speed TGV train line & important Auroroute network between the north and south-west of France. In the city, please take the time to visit the magnificent Château des Ducs de Bretagne (The Dukes of Brittany Castle). Home to the famous author Jules Verne (e.g. Journey to the center of the earth).